The I-Pace concept previews Jaguar's first EV. LONDON -- Jaguar Land Rover is buying a minority stake in connected car technology firm CloudCar, as automakers seek out new partnerships and investments to build high-tech models. 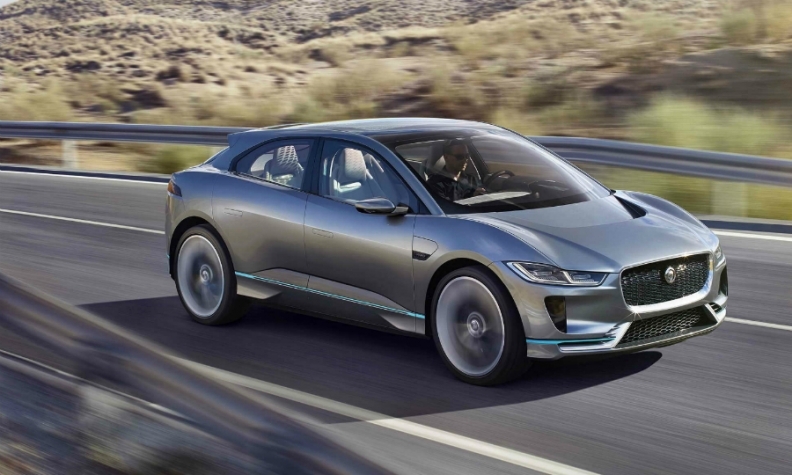 CloudCar, which has developed technology including to improve voice activation, has been a supplier to JLR for several years, with plans to use the next generation of its technology in Jaguar's first fully electric model based on the I-Pace concept. "This investment is integral to Jaguar Land Rover's vehicle technology program," said Executive Director of Corporate Strategy Hanno Kirner, adding he wanted to work with other carmakers. "The eventual need to integrate into the car hundreds of driver-focused global cloud services and content means this platform is an excellent example where cooperation ... can improve outcomes for customers, as well as reducing costs." Automakers are developing connected cars, which use the internet to improve customers' driving experiences and allow vehicles to communicate with each other, in a race with tech giants such as Google. In October, JLR parent company Tata Motors and Ford Motor tested connected cars using technology designed to speed up journeys and cut accidents, the first such trials in Britain.